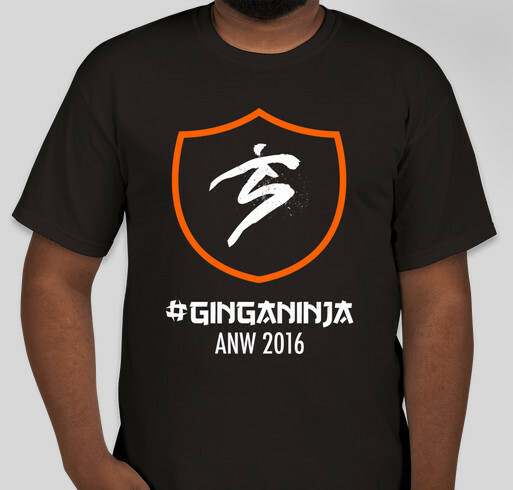 American Ninja Warrior 2016 GingaNinja T-shirts! Buy a shirt to support and represent the #Ginganinja today! All funds raised will go to Chris Boehm, the organizer for Ninja warrior expenses and travels. .
Chris the Ginga Ninja is competing on American Ninja Warrior for his second season! The proceeds from this campaign will assist Chris on his journey to be the next American Ninja Warrior! Chris is a Jack-of-all-trades type of athlete who came up through pole vaulting, wrestling and yoga. These days he trains by incorporating calisthenics, yoga and ninja-specific training into his workouts. He lives just outside Nashville, TN, with his wife, two dogs and a large cat. Not only does he work full-time, make time for his family and train for ninja warrior, he also has a small custom woodworking business called Boehm Rhapsody, pun intended. Share Why You Support "American Ninja Warrior 2016 GingaNinja T-shirts!"